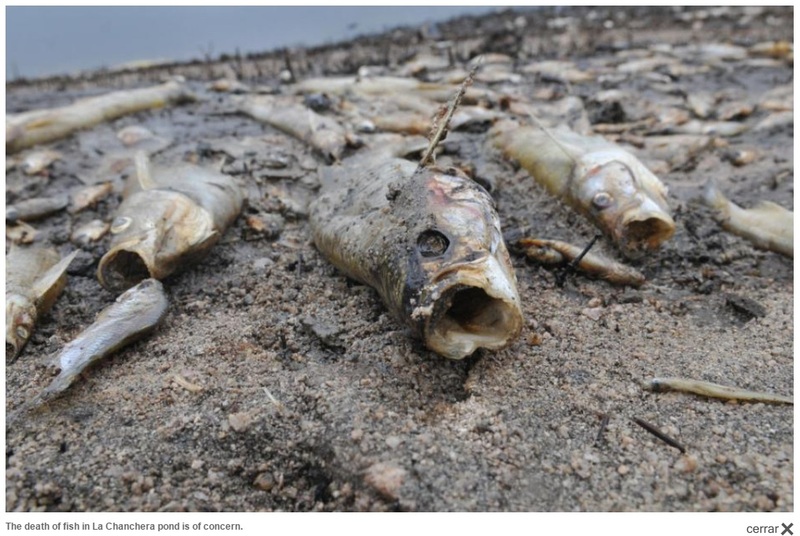 A massive fish die off was recorded in recent days in the La Chanchera lagoon, located between the towns of Laboulaye and La Carlota, in the southeast of the province of Cordoba. The phenomenon, which worried the locals, was produced by the intense heat of the last week’s heat wave, when temperatures surpassed the 38º centigrade. Roberto Gatti, member of the Board of Directors of the Hunting and Fishing Club of Laboulaye, in dialogue with Cadena 3 indicated that the main species affected is the pejerrey. Massive fish mortality was recorded in recent days in the La Chanchera lagoon, located between the towns of Laboulaye and La Carlota, in the southeast of the province of Cordoba. The phenomenon, which worried the locals, was produced by the intense heat of the last weeks, whose temperatures surpassed the 38º centigrade. As for the causes of the episode, Gatti pointed to the lack of oxygen due to the intense heat. We had weeks of 38º and 40º. Degree heat, on the day of the die off, it was 29º. A microscopic algae that is generated in these circumstances, which is very oxygen consuming causes the fish to die of suffocation. " And he lamented: "99% are pejerreyes, although there are some catfish and tents, as well as mojarras. We cannot do anything, it's a natural problem."